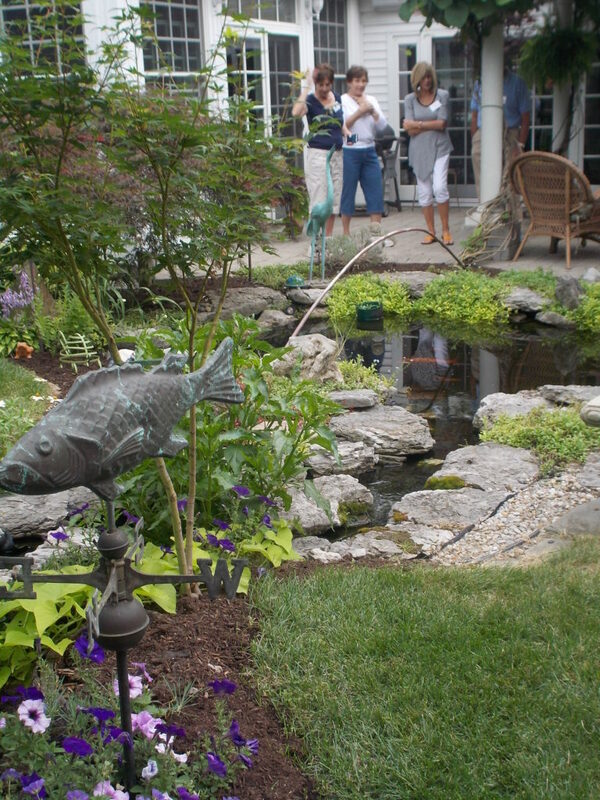 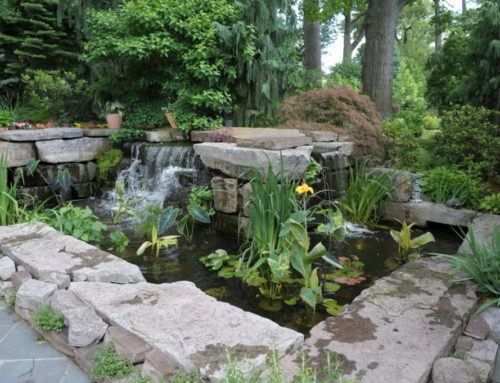 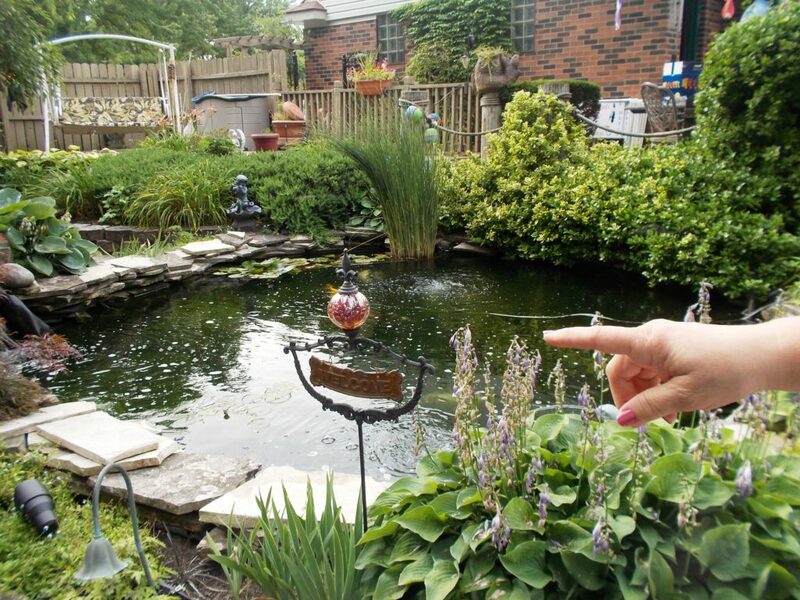 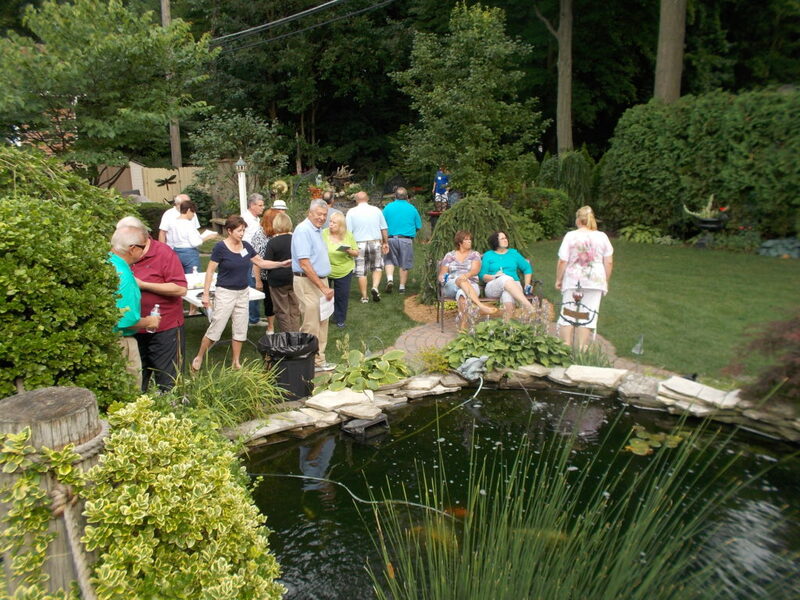 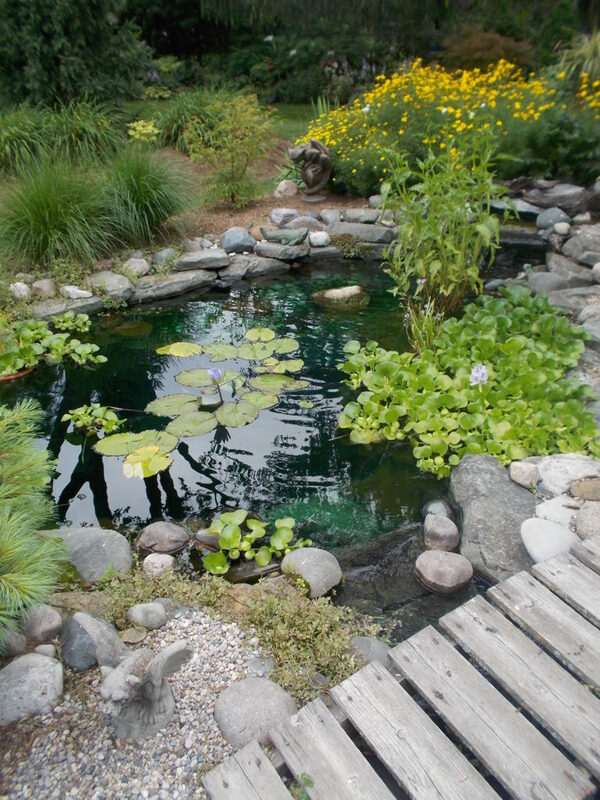 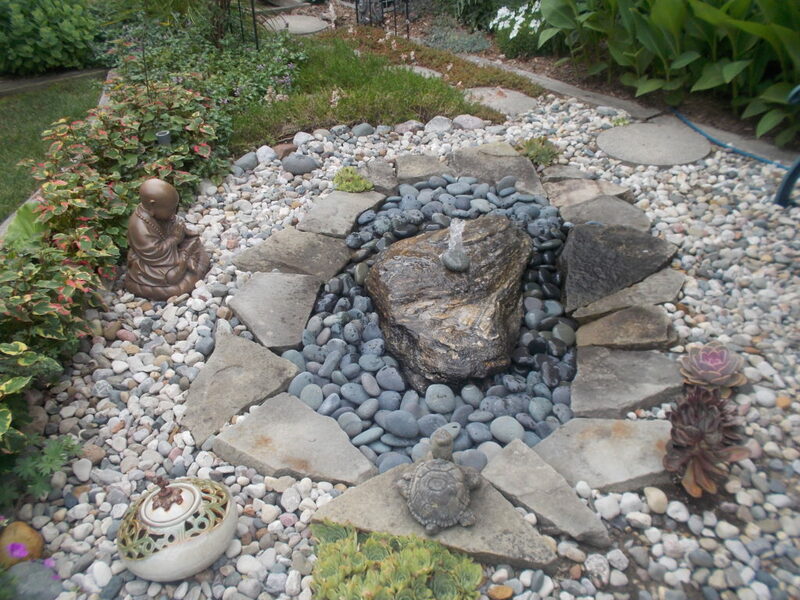 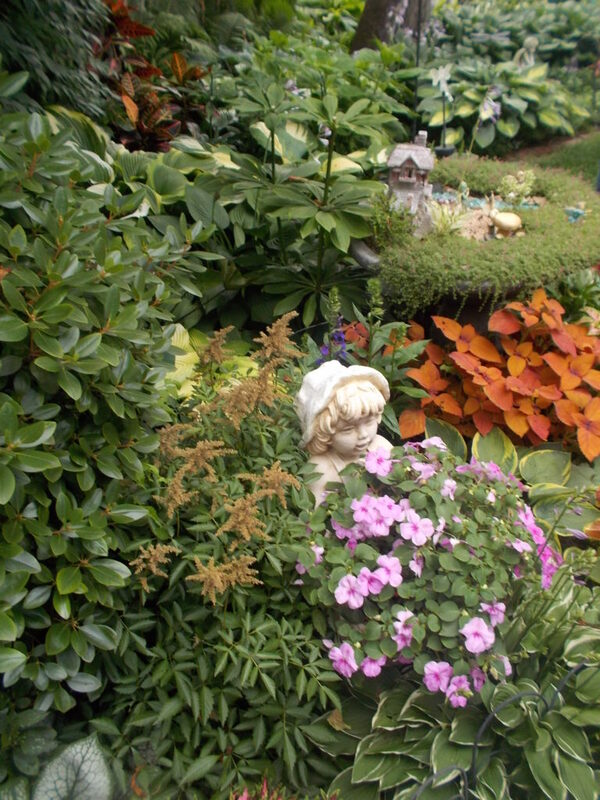 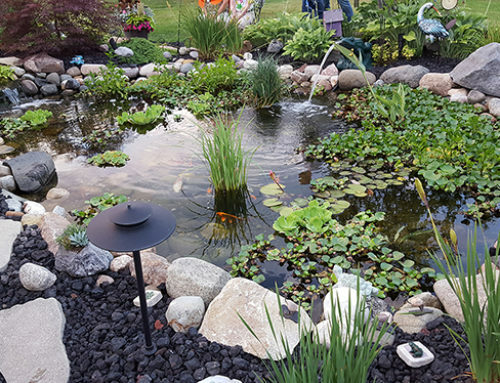 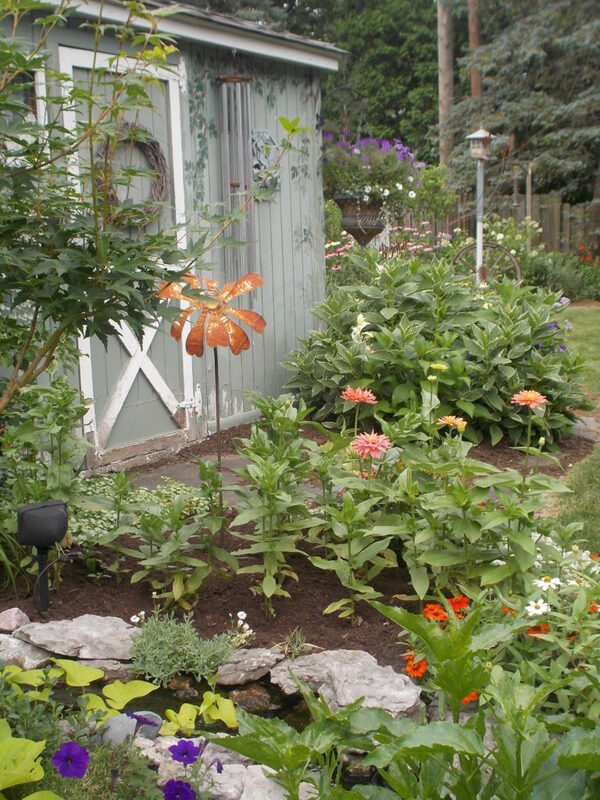 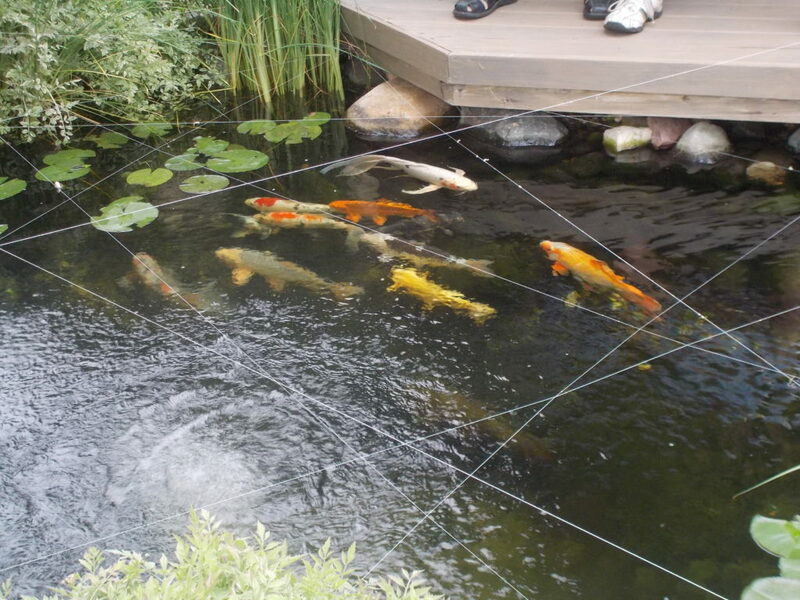 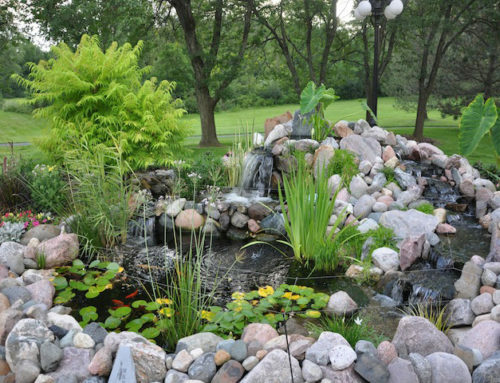 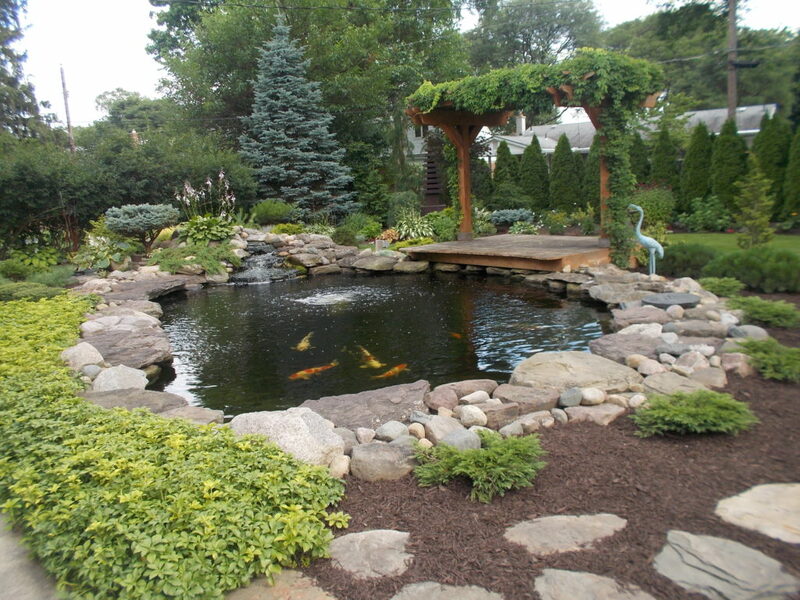 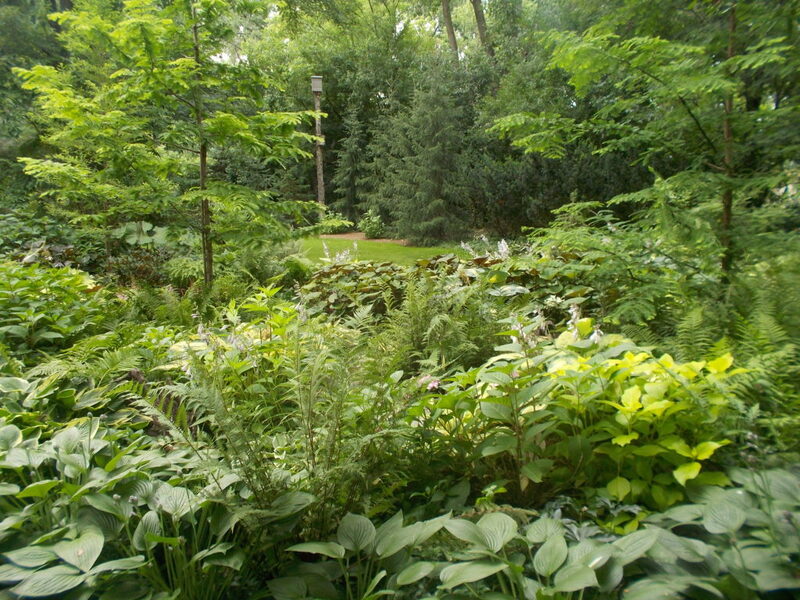 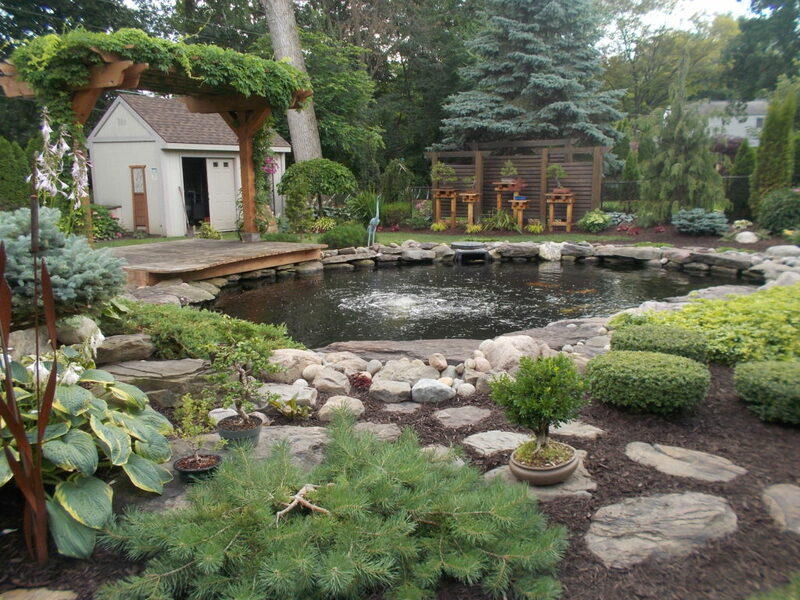 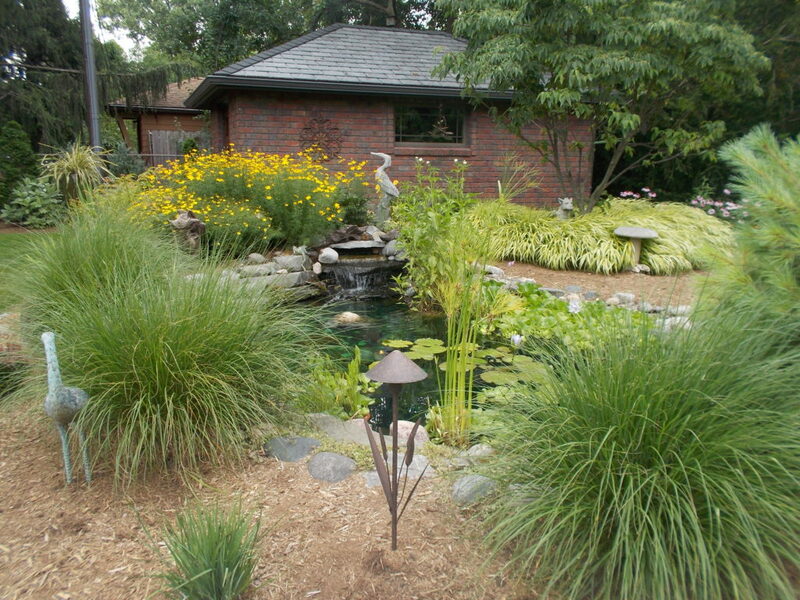 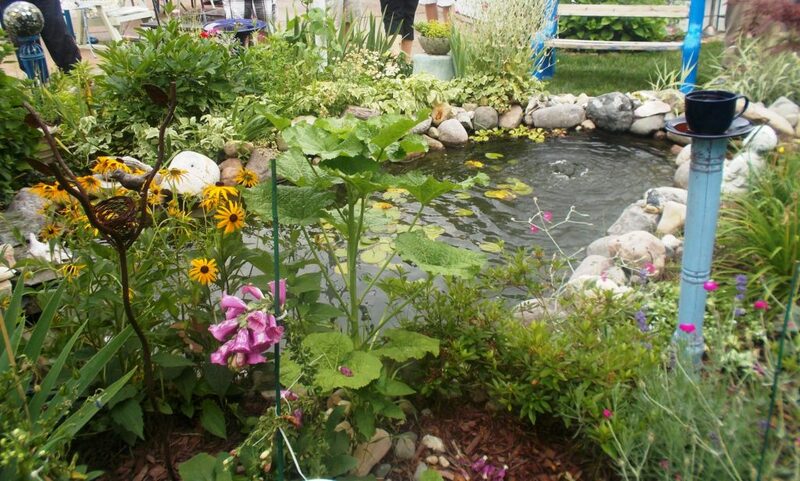 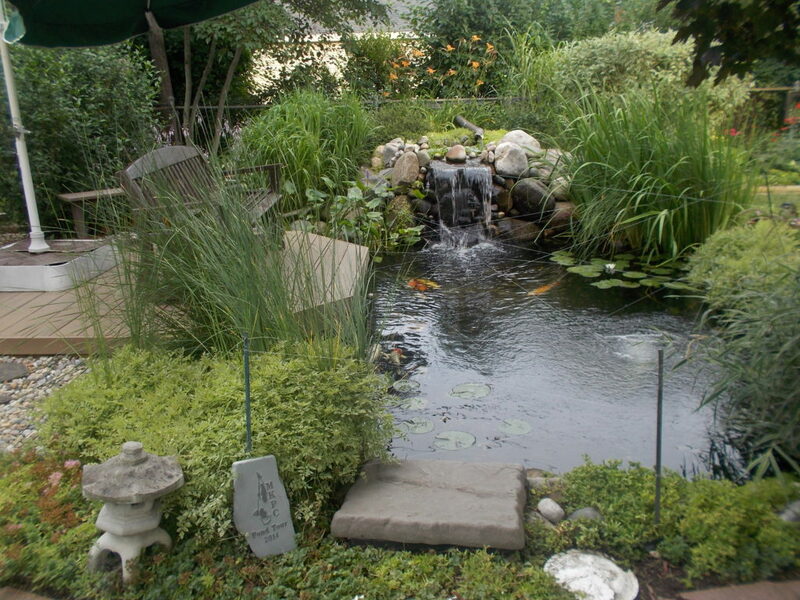 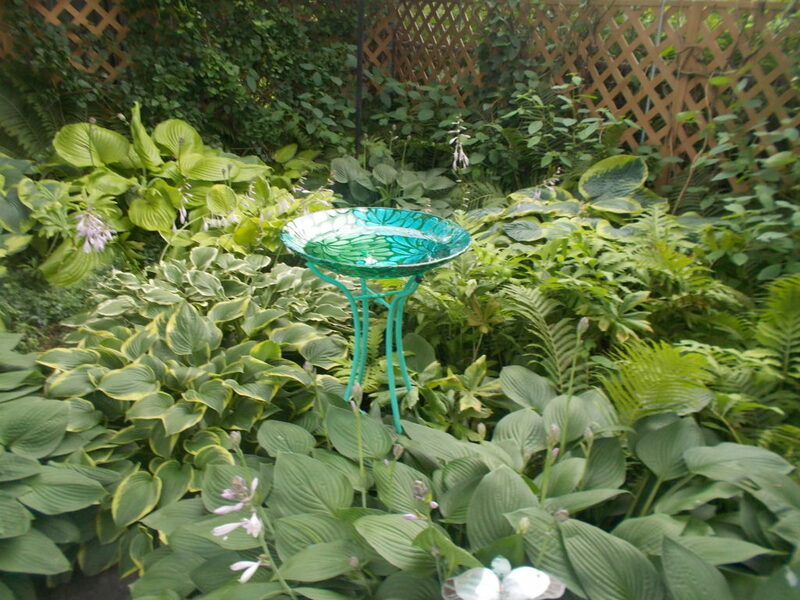 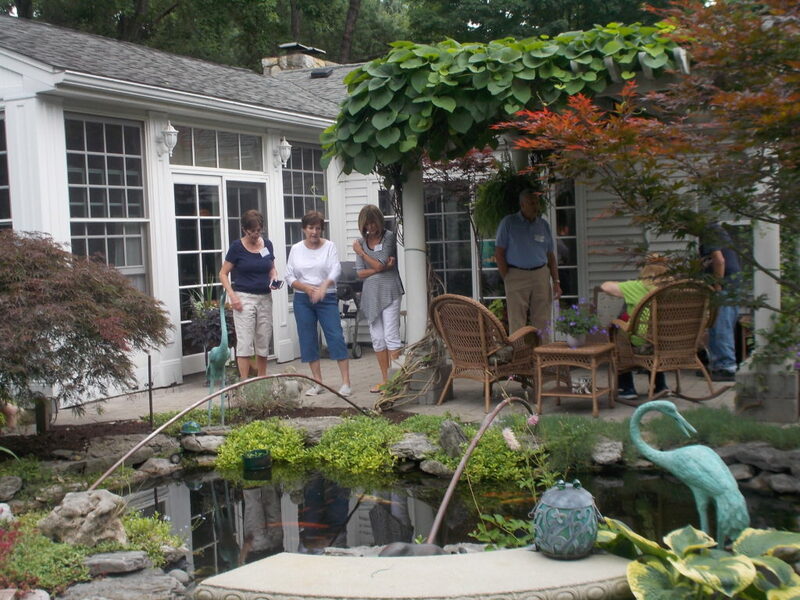 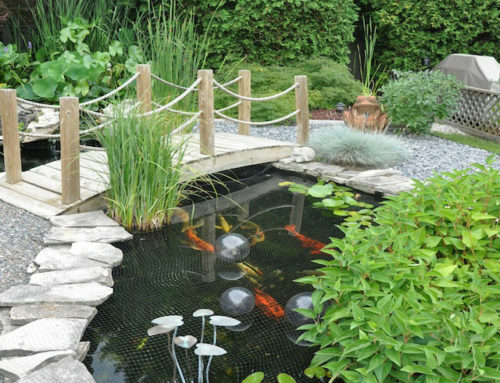 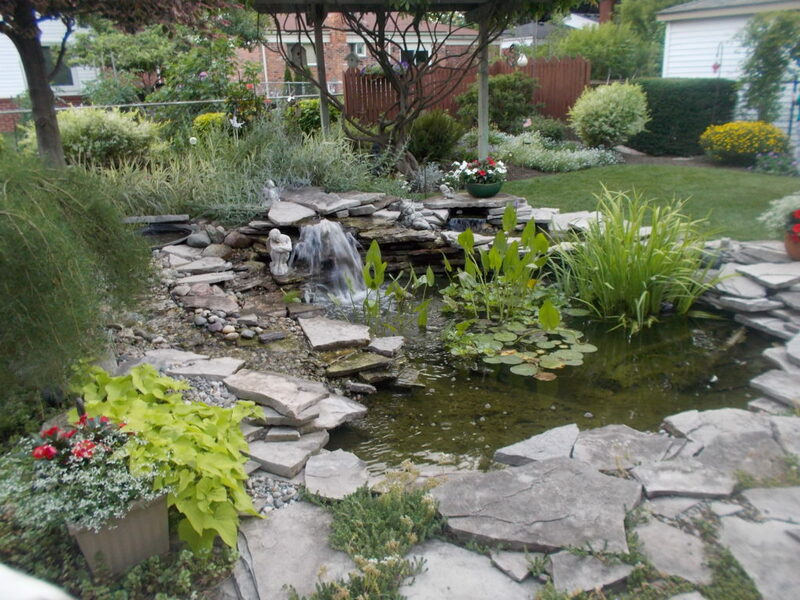 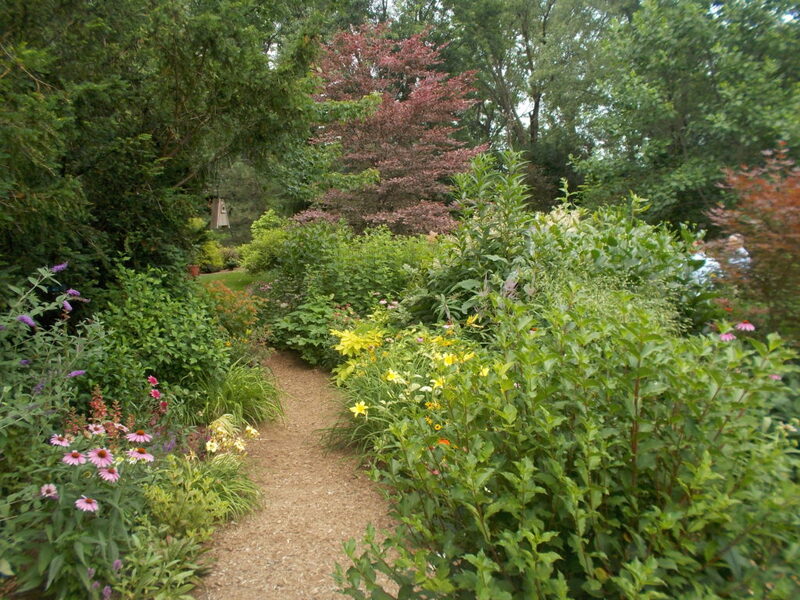 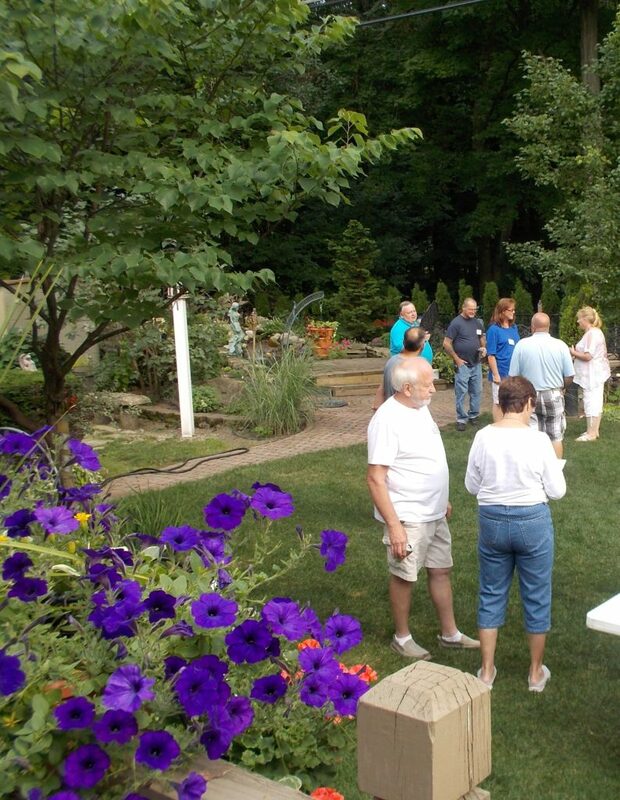 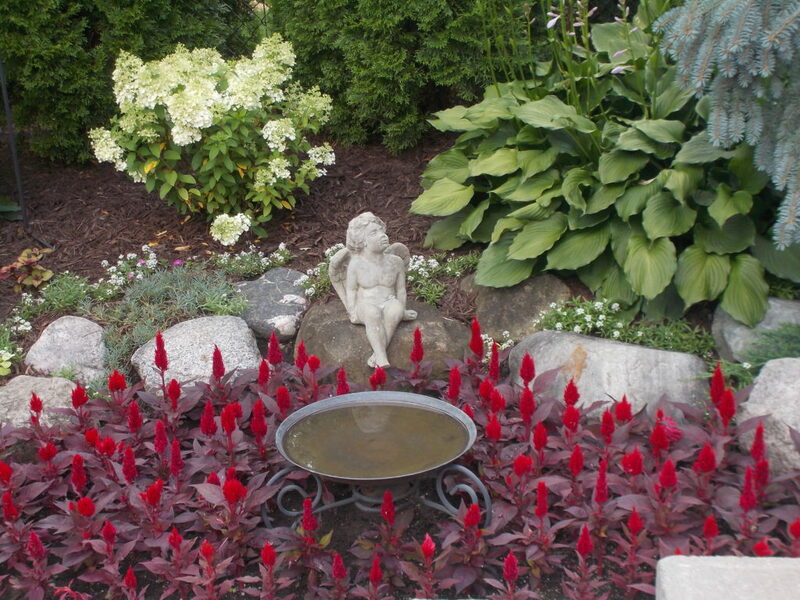 Every July is the time of year we choose a city or area in Southeast Michigan for our Annual Pond and Water Garden Tour. 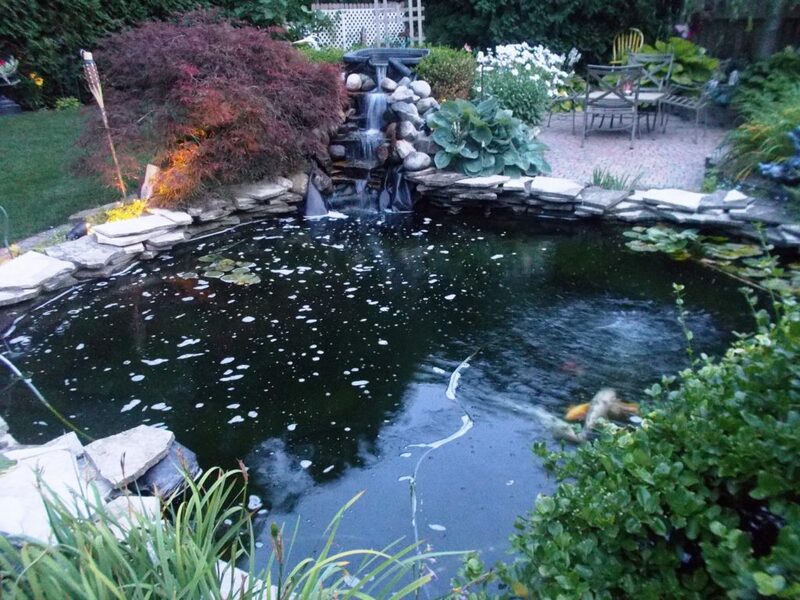 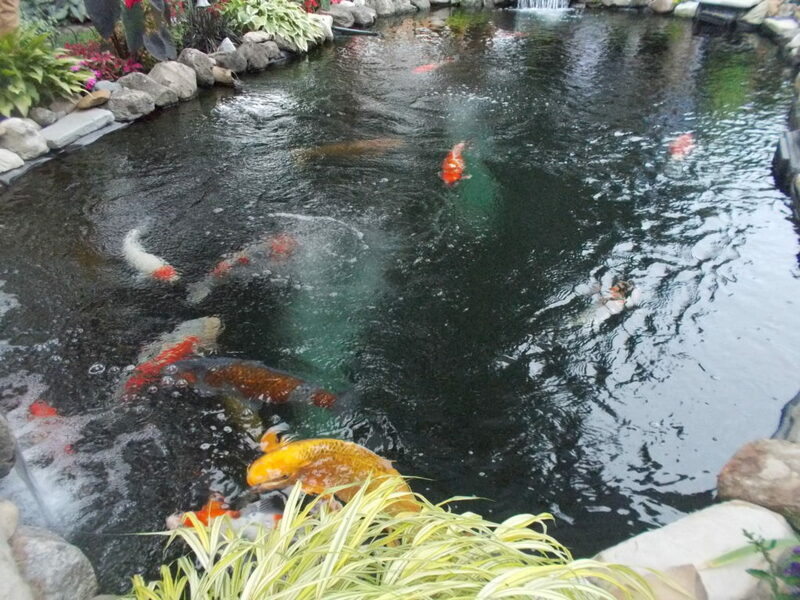 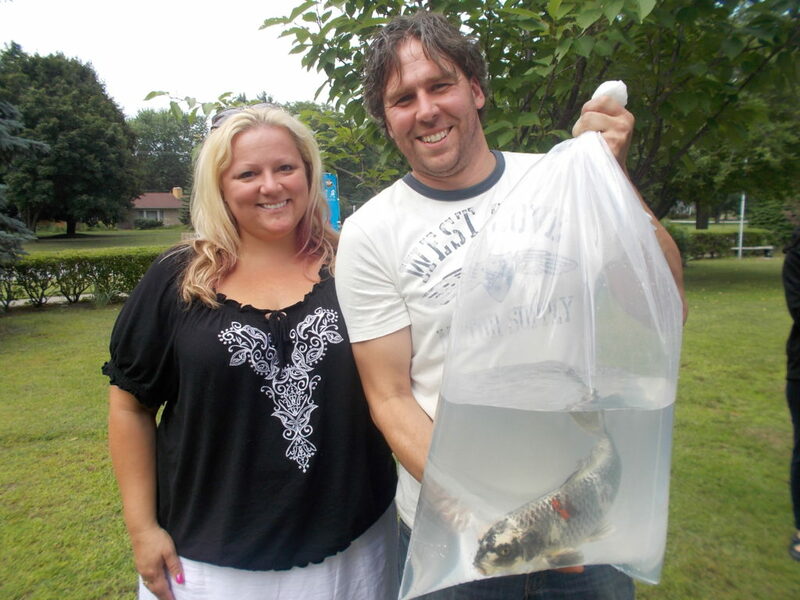 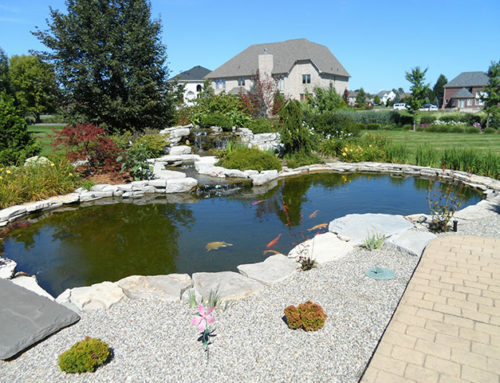 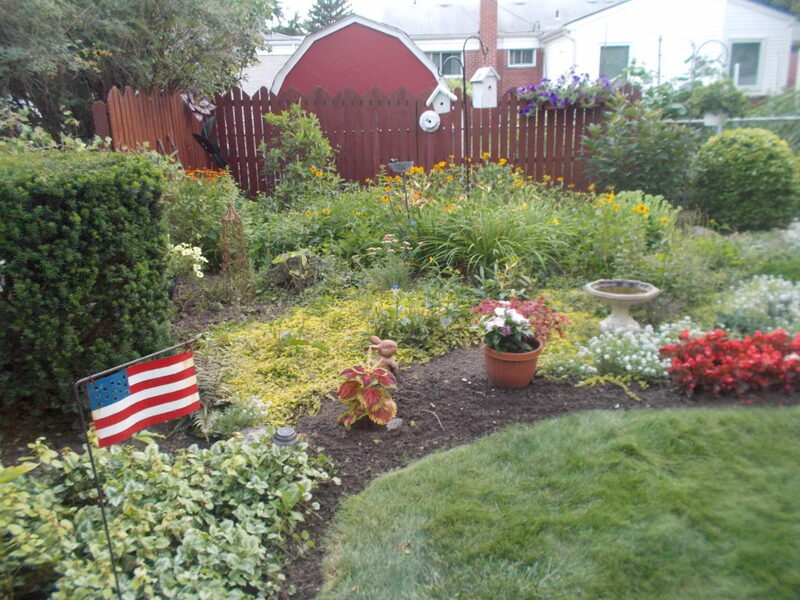 In 2014, we had eight wonderful ponds in the city of Livonia. 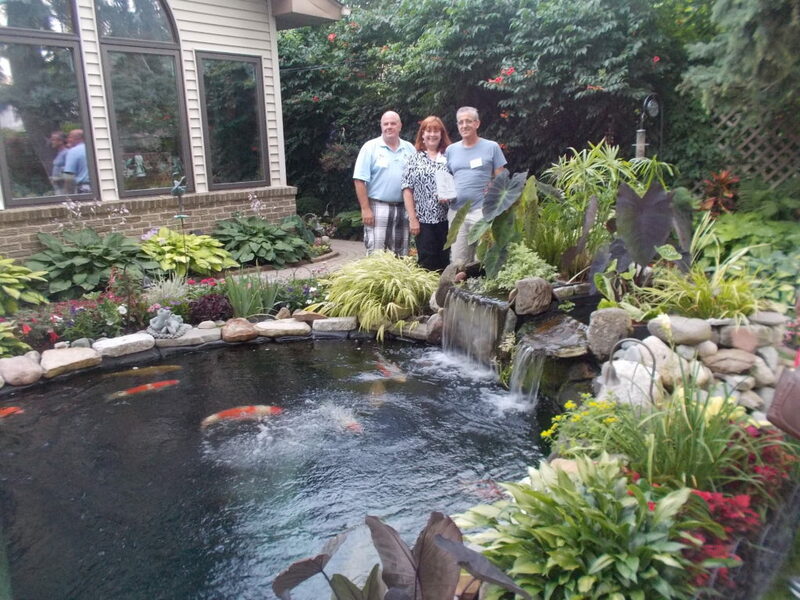 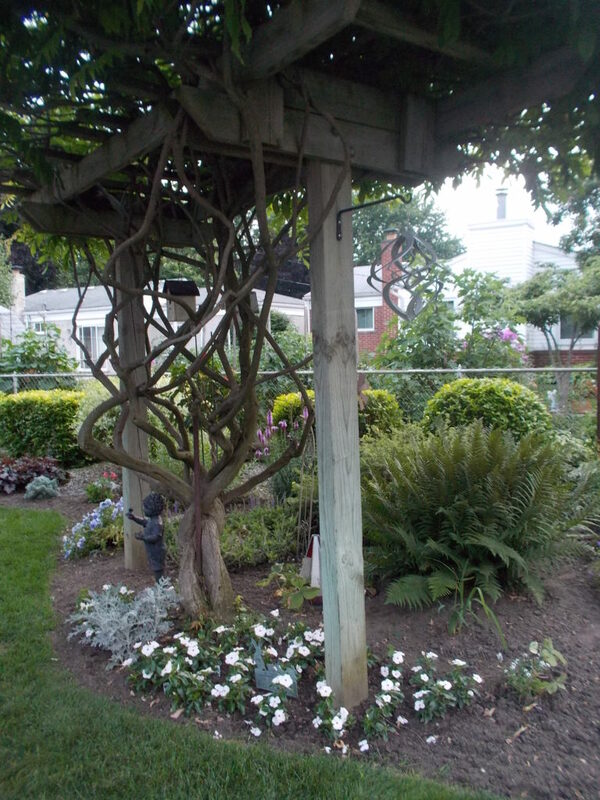 Our starting location was the home of one of our long time and very active members, Bruce and Debbie Modetz. 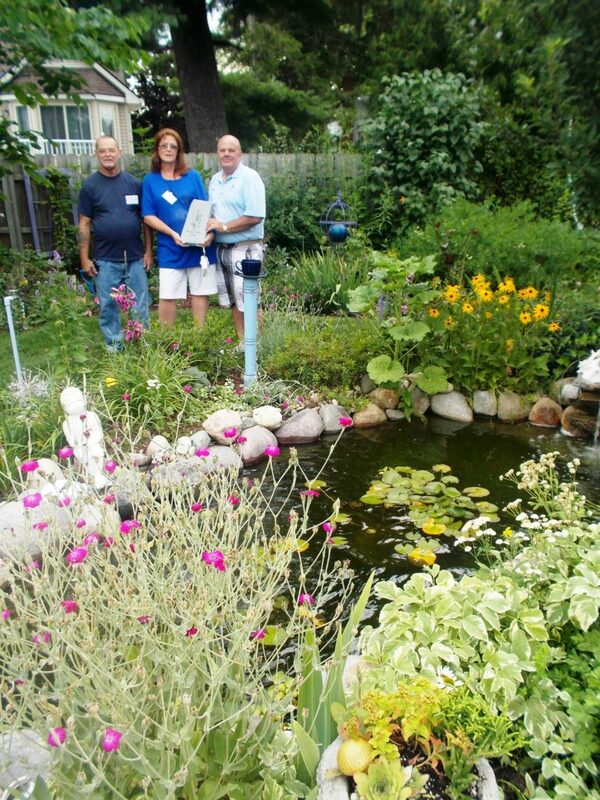 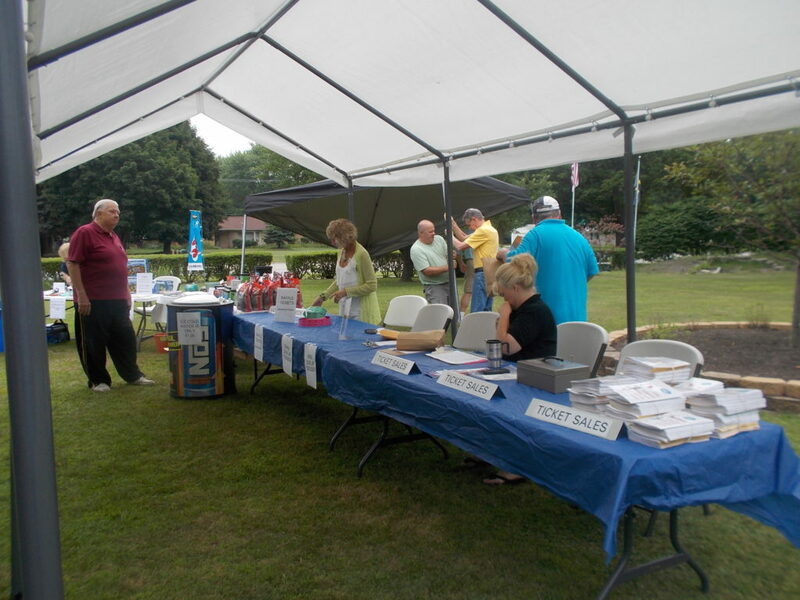 Tour participants began at the starting location, received a pond tour booklet, a wrist bracelet and a map. 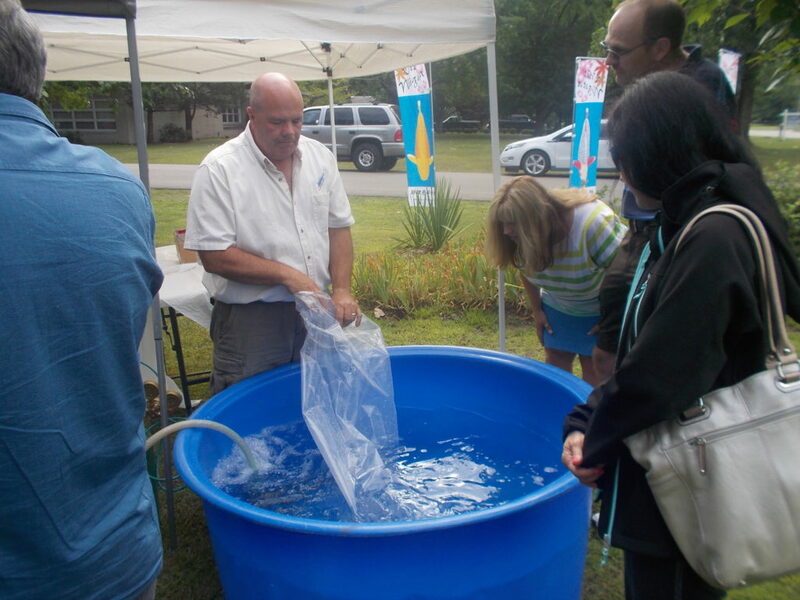 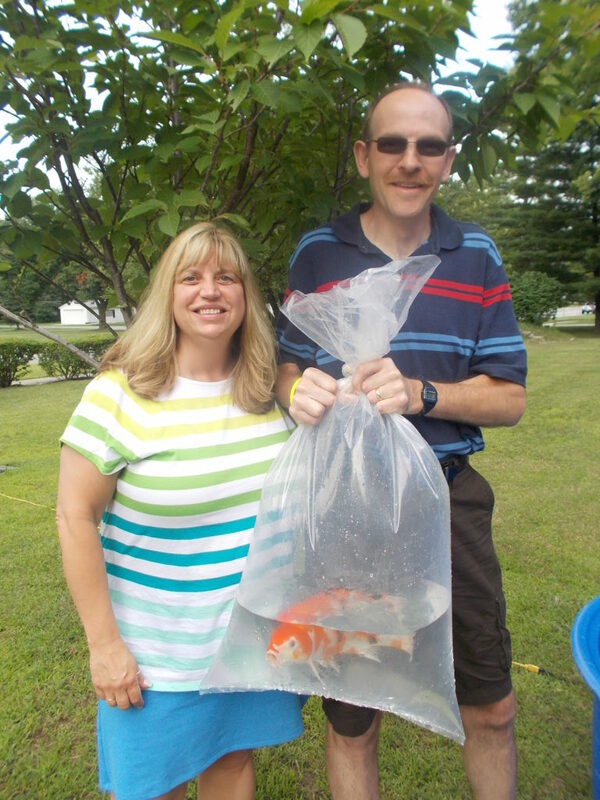 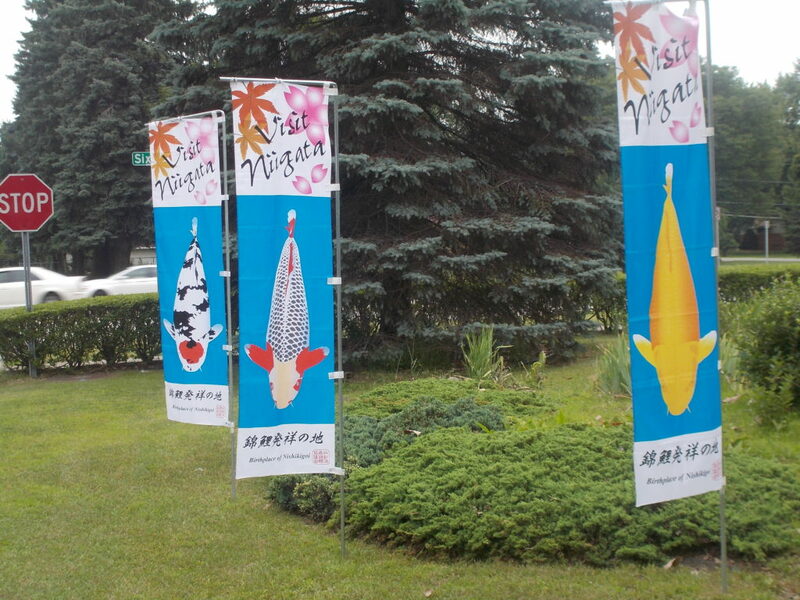 They also had the chance to enter a raffle in which 2 of the prizes were koi, one from Kodama Koi Farm and one donated by a Club member, as well as a bonsai.